Marxism and Social Movements (Historical Materialism 46), eds. Colin Barker, Laurence Cox, John Krinsky and Alf Gunvald Nilsen (Brill 2013), vii, 473pp. From the Zapatista uprising in mid-1990s Mexico to today’s anti-austerity and pro-democracy protests, mass social movements have provided the main opposition to the neoliberal order. The movements mainstreamed in the media in 1999 when 60,000 protesters gridlocked Seattle during the WTO summit. They became loosely linked in what was called the anti-capitalist or anti-globalisation movement. Embedded in a cycle of massive world and regional Social Forums, the anti-globalisation movement formed a launch pad for the anti-war movement — bizarrely not discussed in either of these books — which coordinated the biggest mass protests in world history on February 15, 2003. Since then there has been a proliferation of different kinds of mass street struggle and occupations confronting austerity, democratic deficits, environmental degradation, dictatorship and war. 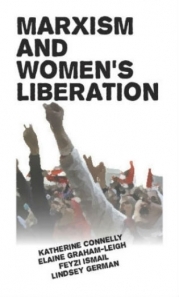 These movements have not just been tremendous mobilisers, they have won important victories and helped shape political life in a number of countries. The mass protests against water privatisation in Bolivia in 2000 won their basic demands, for example, and started a cycle of radicalisation that has forced politics to the left and is still playing out today. The great confrontation with the G8 in Genoa in 2001 sparked three or four years of militancy and mobilisation in Italy and helped turn the radical Rifondazione communist party temporarily into a major national force. More recently a cycle of street demonstrations and later strikes in Greece created the conditions in which the radical left Syriza party could get to lead the polls and perhaps take office, while a new political entity, Podemos, has emerged out of the protest movement in Spain. Meanwhile, the anti-war movements have helped make the pursuit of further foreign wars harder for western governments and, in some countries, the Occupy movement has helped spark public debates about the chaos created by capitalism. Strangely, Marxists haven’t all been paying attention to these developments. As Cox and Nilsen comment, ‘most “actually existing” Marxism has very little to say about social movements’ (p.2). Partly this is because the movements have involved new alliances and sometimes new tactics that haven’t fitted received views of what struggle ‘should’ look like. Downplaying them has been an especially serious mistake for Marxists, as one remarkable thing about at least some of these movements has been their combination of breadth and radicalism. Although they have typically brought together a wide range of organisations and individuals, they have often challenged systems and structures rather than just taking up single issues. ‘They are not simply the reproduction of unreflected activity, but creative processes which — in order to mobilise the unmobilised and change the world — have to keep reaching beyond themselves. They are constantly in debate over “what should we do?”, contesting given assumptions about how the world is’ (p.145). ‘The teachers convened an assembly on June 20 to which they invited various official groups that they hoped would mobilise in support of their struggle. However rather than the twenty or so organisations that had been invited to attend, over three hundred civil society organisations arrived armed with a plethora of social grievances. What had begun as a trade union struggle was thus converted into a wider movement of discontent’ (p.218). Two broad approaches to the material are on offer. A number of authors stress what is new about the movements and suggest that they have the capacity to develop transformative challenges to the neoliberal order. Chris Hesketh concludes his analysis of the Oaxaca events by suggesting, ‘the remaking of space by social movements is, therefore at the same time the remaking of democracy, as it calls for permanent participation in social life’ (p.231). Alf Nilsen is one of a number of contributors who presses the work of Italian Marxist Antonio Gramsci into service to emphasise the radical potential of social movements. While he stresses that the ruling class has a number of strategies to contain and divert oppositional movements, he argues that in the right circumstances, social movements have the capacity to overcome these. 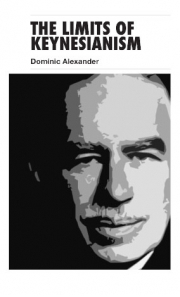 In his own words, ‘subaltern resistance may become a counter-hegemonic social force capable of transcending and transforming a given totality and the hegemonic position of dominant social groups within this totality’ (p.170). Another strand concentrates on proving that Marxism is the most effective way of analysing social movements and tends to emphasise continuity. Colin Barker’s chapter succinctly shows that the ‘classical’ Marxists, Marx himself, Engels, Lenin and Luxemburg, all had a broad and non-reductive view of class struggle that encompassed what are now called social movements. Barker proves that Marx and most key Marxists consistently saw a variety of social movements — Irish Nationalism, the revolt against slavery — as being central to the project of socialism. John Krinsky critiques the way mainstream social-movement theory abstracts social movements from questions of ‘power, the economy and the state’ (p.108). Krinsky gives us a useful account of the way Marxism’s ‘view of social relations as totality … structured by contradictions’ (p.121) provides the best means to understand social movements. These are important discussions, and there are others in the book. But the theoretical reflections should have been illuminated by more analysis of the actual fortunes of recent social movements. Correctly playing up the importance of the movements, some of the authors risk missing their limitations. ‘How do we move beyond the concern for access, the localism, the constitutionalism, and the anti-political populism of contemporary protest – even as these sometimes yield concrete results – while also moving beyond the ambiguity of a simple slogan?’ (p.254). They discuss the need to develop ‘a new stratum of organic intellectuals from the movements … who can, perhaps, move among them in ways that enable them to abstract from the local without abandoning its reality’ (p.255). Unfortunately, this is one of the few moments in Marxism and Social Movements where concrete strategic difficulties and controversies are seriously discussed and the question of political leadership raised. Given the outcomes of the struggles discussed, this is problematic. The great mobilisations in Bolivia from 2000-2005 failed to deliver popular power. The movement in Oaxaca was defeated, and the Arab Spring has been crushed or diverted. 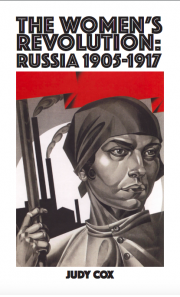 We Make Our Own History: Marxism and Social Movements in the Twilight of Neoliberalism¸ eds. Laurence Cox and Alf Gunvald Nilsen (Pluto 2014), 272pp. ‘In the process of organising and mobilising, activists may come to “join the dots” between their particular, situated experiences and the underlying structures that engender these experiences … This in turn can lead to alterations in the form and direction of collective action toward more encompassing movement projects seeking to achieve more radical forms of change’ (p.72). ‘(Processes of change) if they are within “social being” seem to impinge upon, thrust into, break against, existent social consciousness and changes take place within social being which give rise to changed experience: and this experience is determining in the sense that it exerts pressures upon existent social consciousness’ (pp.33-4). It is absolutely right to stress that the lived experience of capitalism can radicalise people by frustrating human impulses and removing the basis for a bearable life. It is true too that recent social movements have revealed once again people’s immense capacity for creative collective struggle, and the extraordinary level of generalisation to which this can lead. Neoliberalism is at the same time so global, so ideological and so destructive, it has forced big minorities to think seriously about co-ordinated struggle for alternative ways of organising society. All of this is a much-needed antidote to the pessimism around in some activist circles. It is also a valuable corrective to the Marxism-by-numbers that reads the present and the future through the prism of the past, and works with formulas rather than living forces. It is such dogmatic, mechanical Marxism that led to a dismissive attitude to new movements in the first place. It has also led some into the basic trap of starting every encounter with what separates Marxists from the wider movement rather than what they have in common, or (heaven forbid), what they might be able to contribute to its ongoing success. Nilsen and Cox are absolutely right when they say that the only left party worthy of its name is one that puts the movement first. But their argument against mechanical Marxism has been won at too high a cost. The notion that consciousness emerges out of the very fabric of life misses a crucial element in any real radicalisation – active theorising, analysis and the need for specific organisation to enable this. While at times they recognise the need for strategic thinking, their close identification of ideas with experience must squeeze the space for reflection, debate and theory. The danger here is the celebration of the spontaneous at the expense of the strategic. This is a version of Marxism which in the end reflects rather than challenges the tendency to idealise spontaneity that is so widespread in the social movements. 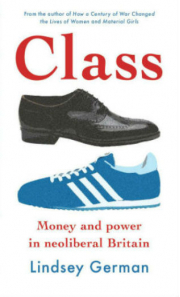 As Paul Blackledge points out, a number of Marxists have criticised Thompson for conflating class with class-consciousness. Geoffrey de Ste Croix reminds us, for example, that for Marx, class and exploitation are an objective reality (p.271). But the problem is neither Blackledge nor anyone else here draws the obvious conclusion from this. If we abandon the notion of class and exploitation as objective realities, we lose all points of reference and we have to give up trying to understand or think strategically about the system that confronts us or the forces that might be won to our side. The logic is in fact then to collapse into subjectivity. Without having any means of charting a way forward, we can end up simply applauding all acts of resistance. Ironically, for a theory that sets out to challenge determinism, a stress on the spontaneous generation of radical ideas ends up with a very passive conception of how people make up their minds. These books are not against theory, far from it. The argument that Marxism has the best tools for understanding social movements is well made in a number of places. And more sophisticated models of consciousness are suggested. But this doesn’t get us beyond an essentially analytical role for radicals. The crucial thing is that no one takes the step of arguing for the active, organised development of a clear class consciousness inside the movement as a necessary step in the development of an effective leadership. This is actually what Marxism is about. 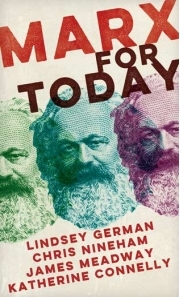 The result is that the ideas of Cox and Nilsen and others that support this spontaneity goes effectively unchallenged and both books pretty much ignore the enormous body of Marxism dedicated to working out how a conscious, organised network of collaborating socialists can be developed. There are lots of reasons why this is a big mistake. First of all it’s fatal to ignore the uneven way in which consciousness changes. It is a very hopeful sign that so many of the new movements have taken up radical critiques. But even in the most apparently radical social movements and even at a time of social crisis, different ideas co-exist. Some people will believe the system needs to be taken apart and replaced, others that it can be reformed. And some people will hold elements of both ideas in their heads simultaneously. In a way, this is how it should be, because amongst other things, movements serve the purpose of mobilising first-timers and they inevitably bring mixed ideas with them. Unless they have this understanding of movements, activists can make the opposite mistake of thinking that what is needed is a pure, radical movement. This threatens isolation and frustration, as some involved in Occupy and the student movements have found recently at different times. More generally, the unevenness in the wider movements will be reinforced by moderate or reformist leaders and organisations who will try and limit the movement’s radicalism. If reformists are trying to resolve the unevenness in the direction of moderation, revolutionaries need to try and convince people of the need for more militant, more concerted action. To do that, they need their own organisation working within the movements. The second problem concerns our history. Radical movements don’t have many resources. We have numbers – potentially – we have organisation, and we have historical experience. Despite the case studies, too often the model of radicalisation on offer in these books suggests that every generation should squander this last and start from ground zero. Crises can involve the sharp acceleration of history: ‘there are decades where nothing happens; and there are weeks where decades happen’, in Lenin’s words. People can learn fast in such times, but however sharp the learning curve, mass consciousness that develops in response to events will not develop fast enough to master them. Lessons learned from the analysis of previous struggles need to brought to bear on the present and the future. Otherwise we can end up making the same mistakes over and over again, and end up losing. The third danger is downplaying the importance of strategising in general. Gramsci crops up a good deal in these two books, and his work is often cited in support of notions of spontaneous consciousness. But Gramsci’s Prison Notebooks are driven by his conviction of the complexity and sophistication of the political, cultural and physical defences of the capitalist system. Any serious attempt to challenge capitalist power needs a strategy to counterbalance the mainstream media, to disarm the army and disorganise the police, to build alliances between different oppressed groups and so on. Even recent movement highpoints bear this out. The Bolivian movement of 2000- 2005 failed to capitalise on potentially revolutionary moments. The 2006 Oaxaca insurgency failed to find effective allies in the wider country. The magnificent democracy movement in Egypt in part foundered because the left didn’t grasp the need to defend the Muslim Brotherhood against the 2012 military coup, however much they disagreed with the Brotherhood’s government policies. Dealing with these kinds of strategic challenges presupposes a high degree of conscious planning, coordination and collaboration in the movement. This is why although he had to encode his thoughts, Gramsci’s prison work, like his activism in the years before his arrest, was dedicated more than anything else to the problems of creating what he referred to as the Modern Prince, a political organisation of the most conscious activists equal to the task of providing revolutionary leadership to the social movements. This set of issues is rarely broached in these books. But there is no prospect of fundamental social transformation without this kind of conscious, organised leadership, and the job of Marxists is to try and develop it. Most of the case studies here even ignore the role of the organised left in the events they describe. Mark Blecher’s discussion of the history of the labour movement in China confines its comments about political organisation to two pages (pp.162-3) and explains the movement’s weaknesses almost entirely in structural terms. Dave McNally’s examination of recent insurgent movements also barely pauses to consider the role of the left, and Chris Hesketh’s account of the movement in Oaxaca says next to nothing about the political forces involved. There is no doubt that the left was at a relatively low ebb when the anti-capitalist movement emerged, but from the Brazilian Workers’ Party to French Communists and Egyptian Trotskyists, socialists of very different kinds have played a constitutive role in the various movements under discussion. This tendency to ignore or downplay the role of the left in the movements may explain too the extraordinary omission in both of these books of the global anti-war movement, the biggest social movement of all time, and one in which the radical left played a crucial role in many places. Some of the contributors, including Cox and Nilsen, are clearly sceptical about the need for dedicated, revolutionary organisation. In We Make our Own History, Cox and Nilsen argue ‘the Marxist emphasis has to be on the movement, not the party’, and go on to say that the key job of Marxists is to contribute to the ‘developmental process from local rationalities to movement projects – which necessarily involves external struggle, internal learning and complex processes of building alliances and counter-hegemony’ (p.204). This is a bit vague, but in general, true. The problem is that if revolutionaries don’t have their own organisation, how are they going to be active in building such counter-hegemonic processes? What is the vehicle for doing this? In reality, we are back to building the movements and hoping against hope that people will find their own way to the revolution. Other contributors touch on the traditions of revolutionary organisation. Colin Barker outlines some of this history in part of his chapter in Marxism and Social Movements (pp.52–61), but there is no discussion about what such organisation would look like today. Some of the best contributions in Marxism and Social Movements see the job of Marxists as developing theory for other people: ‘We owe concrete and robust theorisations in this spirit to the activists and organisers operating on the changing terrain of class relations’ (p.423). Partly this shyness about the role of the left can be put down to the pressures of academia. Academic institutions are designed to reproduce dominant, establishment ideas. As Nilsen and Cox outline, it is extremely hard to work in academia from a point of view committed to movements (p.18). If it is difficult to take the side of movements in academia, how much harder must it be to defend or even discuss a political project to overthrow capitalism? Yet, the conception of Marxism as a disengaged practice of commentary and analysis unfortunately extends way beyond the universities. The sectarian attitude to the movements and particularly to movement leaders is one symptom of this; another is the proliferation of discussion circles and emphasis on internal debate and abstract theoretical work; another still the culture of putting unrealistic demands on leaderships rather than actually organising to get things done. There has been a crisis of activist Marxism recently, partly the result of some of the gross caricatures of Leninism around. The risk is that this crisis resolves itself into two reinforcing poles, the practice of propaganda, comment and criticism on the one hand and an uncritical idealisation of the working class, social movements or anything that moves on the other. Neither side of this equation requires much activity or engagement. Neither will get us very far. Marxism is in trouble theoretically when it becomes a spectator sport. It is a theory of movement. One of its philosophical foundations is the idea that it is only possible to grasp the contours of reality when you are struggling with it. In Gramsci’s words, ‘only the man who wills something strongly can identify the elements which are necessary to the realisation of his will.’ Passivity reinforces mechanical, formulaic Marxism, because if you are outside the flow of events, formulas are all you are left with. Practically too, it is crazy for Marxists to be taking a spectator’s role at a time when even mainstream analysts are pointing to a crisis of the political and social order. The crisis is structural and profound. Just to defend yesterday’s social-democratic gains is to confront today’s establishment consensus. This is a moment when revolutionaries should be seeking to play a lead role in the widest possible struggles. Only by doing that can we hope to make radical politics relevant to the millions of people who are more and more aware of being left behind. It is only in this way too that we have a chance of crystallising the kind of organisations of conscious, collaborating militants that the South African comrades talk about. 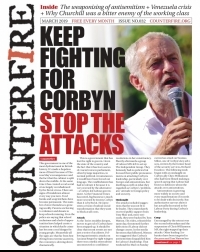 But as well as leading from the front, this requires being honest about the need for revolutionary organisation. We need it to overcome the unevenness in the movement and start forging strategies for revolutionary change. We can’t win without it.